In this blog will describe all the workable methods that you can use while converting OST files to PST files, after reading this it depends on you that which manual method you want to utilize for converting OST to PST files. All the method described in this blog are step-wise, manually and free of cost for you better convenience we mention all the required things you’ll need for conversion of OST file to PST. You can see below all the manual procedure for converting OST files to PST file format. #1. First Method, this is known as Import and Export method. 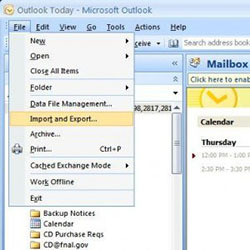 The first thing is that connection with the Exchange Server and the next thing is Outlook must be installed on the local computer system. Step 1: First you need to launch Microsoft Outlook. 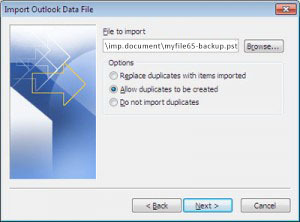 Step 4: Now select Outlook Data File(.pst) and click Next to proceed further. Step 5: Now select the mailbox folder to export from. You may also include the subfolders. Step 6: Browse and select the target folder where you want to save the new PST file and click the Finish button. #2. Second Method, you can call this Drag and Drop method. 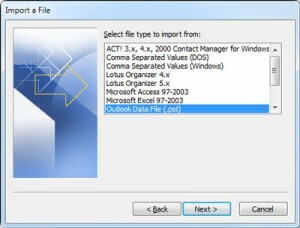 In this method, you have to create a new PST file after that drag and drop all of your folders to it and save. 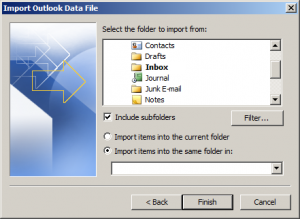 Step 1: Open Microsoft Outlook, then create a new PST file in Outlook profile. 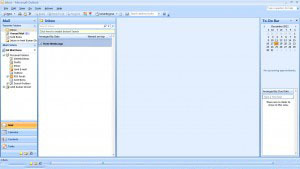 Step 2: After that select and drag all the mailbox folders you want to move into the PST file, created newly. #3. Third Method, known as Archive method. In this blog, all the above-discussed methods were manual methods to convert OST file to PST file.